MACON, Ill. — After a great night of racing in the first appearance at Macon Speedway this season for the POWRi Lucas Oil National Midget Series and the POWRi outlaw micros, the rains came and forced the racing to stop before features could be completed. 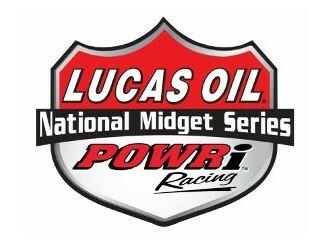 So when the POWRi tour returns to Macon Speedway on May 17, the field is set for the features in POWRi midgets and micros in addition to the regular show. That’s the kind of racing program will pack the grandstands with open-wheel racing fans at the legendary high-banked fifth-mile oval loved by POWRi fans and drivers. Just ask POWRi rising star Chris Bell, who tweeted Saturday that Macon Speedway is his favorite track. A native of Norman, Okla., Bell leads the POWRi midget standings while Jeremy Camp of Blue Mound is tied for the lead in the POWRi outlaw micros points standings. Also on May 17, DynaGraphics Night will feature a display of wrapped vehicles by the Decatur-based graphics company. UMP Billingsley Towing modifieds, sportsman, UMP street stocks, UMP outlaw hornets and stock hornets will also race in addition to the POWRi midgets and micros.